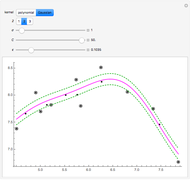 This Demonstration uses the method of support vector regression to calculate curves representing chemical data. 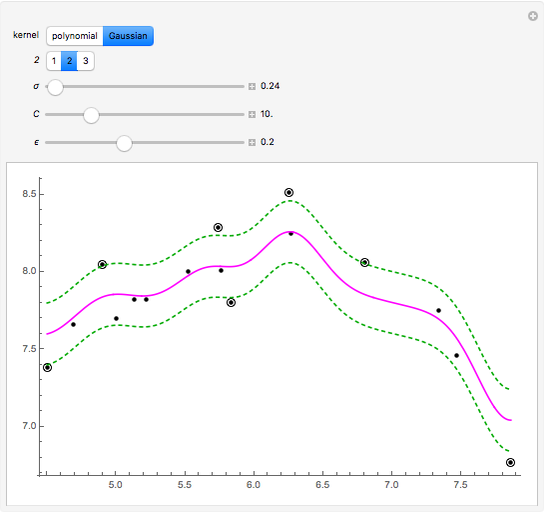 The regression curve is shown in magenta. 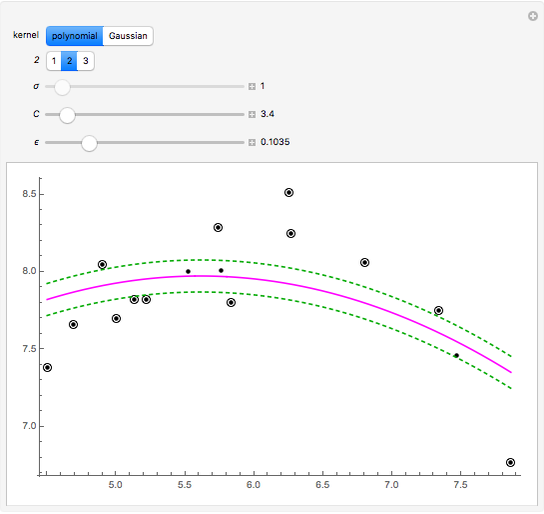 The margins (dashed green curves) are at distance from the regression curve. 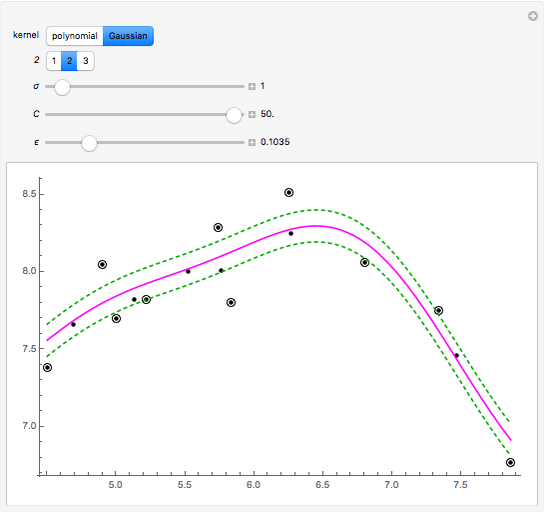 The circled black points outside of the margins are the support vectors; the points inside the margins could be deleted and the regression curve would not change. 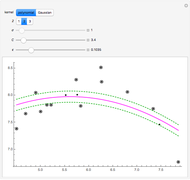 The method of support vector regression uses kernels: here either a polynomial kernel (of degree 1, 2 or 3) or a Gaussian kernel (with parameter ). You can vary the parameter to adjust the weights given to the fitting errors from the curve to the support vectors. The data used in this Demonstration is from . For a detailed derivation and explanation of the method of support vector regression, see the document cited in Related Links. In that document, we arranged a small competition in which we studied the performance of support vector regression and seven other prediction methods when applied to 11 datasets. Support vector regression was the winner of that competition. O. Ivanciuc, "Applications of Support Vector Machines in Chemistry," in Reviews in Computational Chemistry, Vol. 23 (K. B. Lipkowitz and T. R. Cundari, eds. ), Weinheim: Wiley-VCH, 2007 pp. 291–400. Heikki Ruskeepää "Method of Support Vector Regression"